Lance Corporal Kyle Phillips’s life has been blown apart by an IED explosion. All the work he put in at boot camp is worthless. Now he feels he’s half the man he was before, with nothing to offer. His life fell apart in one brief moment and everything he worked for was gone. Better men than him died that day, and now he must come to terms with being chosen to live. Staci Pence volunteers at a Veterans Affairs hospital in hopes that she could do something good. She had seen what the war had done to her father and in the end, he had taken his own life. Now she is using her own grief to save others. 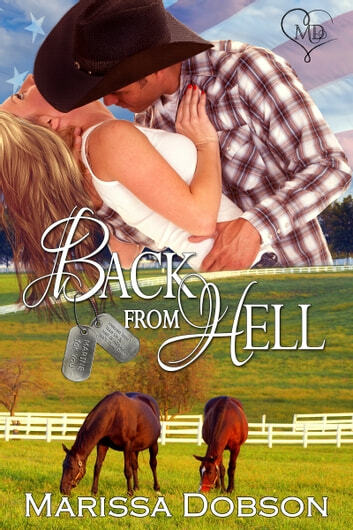 Her newest patient is Lance Corporal Phillips and while he believes he’s damaged goods, not worthy of living, she’s determined to show him otherwise. Kyle had gotten to the point that he wished he’d died on that battlefield instead of living the life of half a man. That was until a woman with whiskey brown eyes and a feisty side strolled into his room looking to save him. Can he make peace with what has happened and open himself to the love Staci offers?